The houseplant hobby is experiencing something of a renaissance as of late. With their popularity on various social media platforms, easy to grow plant species and their cultivars are experiencing a level of popularity they haven't seen in decades. One genus of particular interest to houseplant hobbyists is Sansevieria. 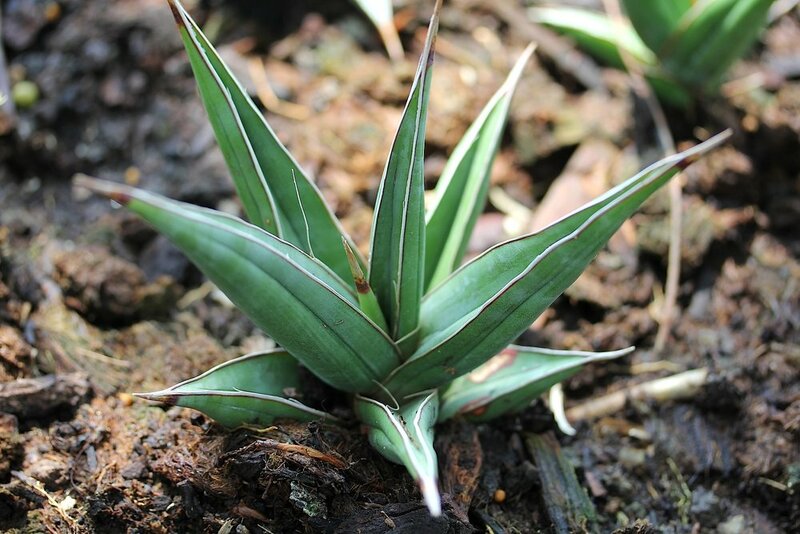 Despite their popularity, the few Sansevieria species regularly found in cultivation come attached with less than appealing common names. Mother-in-law's tongue, Devil's tongue, and snake plant all carry with them an air of negativity for what are essentially some of the most forgiving houseplants on the market. What few houseplant growers realize is that those dense clumps of upright striped leaves tucked into a dark corner of their home belong to a fascinating genus worthy of our admiration. What follows is a brief introduction to these enigmatic houseplants. The Sansevieria we encounter in most nurseries are just the tip of the iceberg. Sansevieria is a genus comprise of about 70 different species. I say 'about' because this group is a taxonomic mess. There are a couple reasons for this. For starters, the vast majority of Sansevieria species are painfully slow growers. It can take decades for an individual to reach maturity. As such, they have never really presented nursery owners with much in the way of economic gain and thus only a few have received any commercial attention. Another reason has to do with the fiber market during and after World War II. In hopes of discovering new plant-based fibers for rope and netting, the USDA collected many Sansevieria but never formally described most of them. Instead, plants were assigned numbers in hopes that future botanists would take the time needed to parse them out properly. A third reason has to do with the variety of forms and colors these plants can take. Horticulturists have been fond of giving plants their own special cultivar names. This complicates matters as it is hard to say which names apply to which species. Often the same species can have different names depending on who popularized it and when. 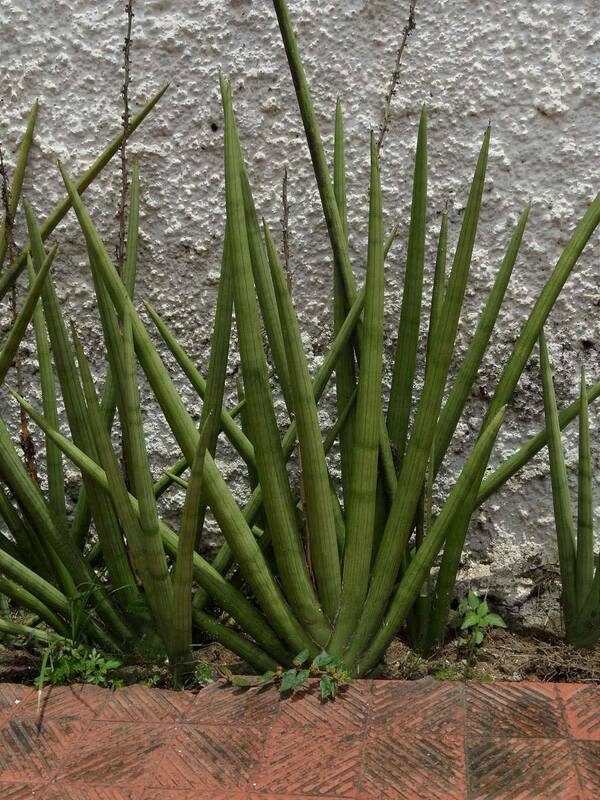 Regardless of what we call them, all Sansevieria hail from arid regions of Africa, Madagascar and southern Asia. In the wild, many species resemble agave or yucca and, indeed, they occupy similar niches to these New World groups. Like so many other plants of arid regions, Sansevieria evolved CAM photosynthesis as a means of coping with heat and drought. Instead of opening up their stomata during the day when high temperatures would cause them to lose precious water, they open them at night and store CO2 in the form of an organic acid. When the sun rises the next day, the plants close up their stomata and utilize the acid-stored carbon for their photosynthetic needs. The wonderfully compact Sansevieria pinguicula. 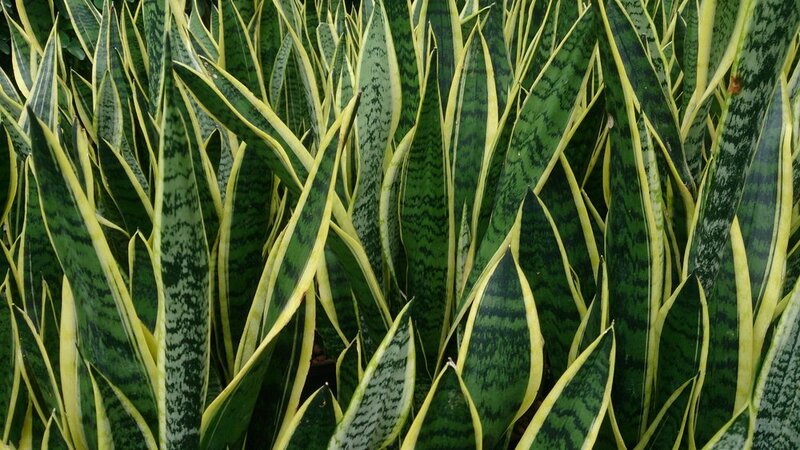 Often you will encounter clumps of Sansevieria growing under the dappled shade of a larger tree or shrub. Some even make it into forest habitats. Most if not all species are long lived plants, living multiple decades under the right conditions. These are just some of the reasons that they make such hardy houseplants. The various Sansevieria appear the sort themselves out along a handful of different growth forms. The most familiar to your average houseplant enthusiast is the form typified by Sansevieria trifasciata. These plants produce long, narrow, sword shaped leaves that point directly towards the sky. Many other Sansevieria species, such as S. subspicata and S. ballyi, take on a more rosetted form with leaves that span the gamut from thin to extremely succulent. Still others, like S. grandis and S. forskaalii, produce much larger, flattened leaves that grow in a form reminiscent of a leaky vase. Regardless of their growth form, a majority of Sansevieria species undergo radical transformations as they age. Because of this, adults and juveniles can look markedly different from one another, a fact that I suspect lends to some of the taxonomic confusion mentioned earlier. A species that illustrates this nicely is S. fischeri. When young, S. fischeri consists of tight rosettes of thick, mottled leaves. For years these plants continue to grow like this, reaching surprisingly large sizes. Then the plants hit maturity. At that point, the plant switches from its rosette form to producing single leaves that protrude straight out of the ground and can reach heights of several feet! Because the rosettes eventually rot away, there is often no sign of the plants previous form. A young Sansevieria fischeri exhibiting its rosette form. A mature Sansevieria fischeri with its large, upright, cylindrical leaves. If patient, many of the Sansevieria will reach enormous sizes. Such growth is rarely observed as slow growth rates and poor housing conditions hamper their performance. It's probably okay too, considering the fact that, when fully grown, such specimens would be extremely difficult to manage in a home. If you are lucky, however, your plants may flower. And flower they do! Though there is variation among the various species, Sansevieria all form flowers on either a simple or branched raceme. Flowers range in color from greenish white to nearly brown and all produce a copious amount of nectar. I have even noticed sickeningly sweet odors emanating from the flowers of some captive specimens. After pollination, flowers give way to brightly colored berries, hinting at their place in the family Asparagaceae. As a whole, Sansevieria can be seen as exceptional tolerators, eking out an existence wherever the right microclimate presents itself in an otherwise harsh landscape. Their extreme water efficiency, tolerance of shade, and long lived habit has lent to the global popularity of only a few species. For the majority of the 70 or so species in this genus, their painfully slow growth rates means that they have never made quite a splash in the horticulture trade. Nonetheless, Sansevieria is one genus that even the non-botanically minded among us can pick out of a lineup. Their popularity as houseplants may wax and wane but plants like S. trifasciata are here to stay. My hope is that all of these folks collecting houseplants right now will want to learn more about the plants they bring into their homes. They are more than just fancy decorations, they are living things, each with their own story to tell.